TBT to when Meghan 'confirmed' her relationship with Harry with a banana IG. 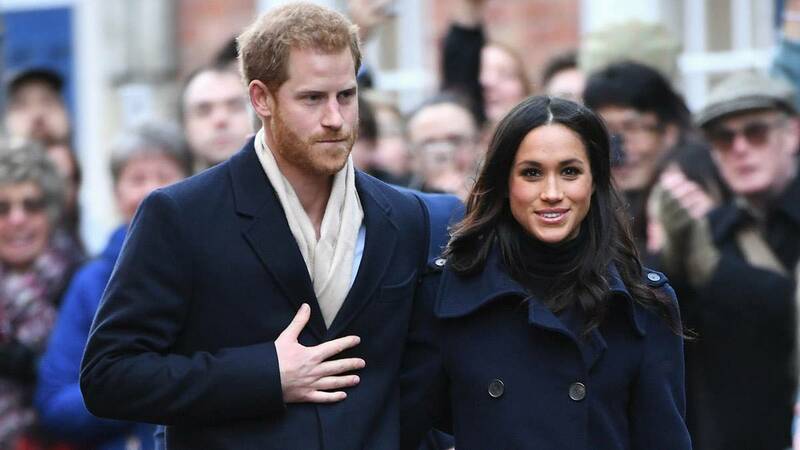 Many royal fans believe Meghan Markle's Instagram post of two lovelorn bananas spooning marked the start of her romance with Prince Harry. And now it's being claimed that the fruit will play a big part in the couple's wedding, as the pair are reportedly opting for a banana wedding cake next spring. "This will be the first royal wedding cake made from bananas," a source told The Telegraph. Prince Harry is also a huge fan of the fruit, as revealed by the Prince's former royal chef Darren McGrady. The cook previously told Hello! magazine that Harry loves "anything with banana." McGrady added that along with his brother Prince William, Harry "loved banana flan, anything with banana really, banana ice cream." It's traditional for the top tier of the wedding cake to be a fruit cake because it lasts for a long time and is then traditionally served at the christening of the couple's first child. However, Prince William and Kate Middleton also broke with tradition with a groom's cake made of chocolate biscuits for their reception at Buckingham Palace, as well as a traditional eight-tiered cake. Harry and Meghan recently confirmed that their wedding will take place at St George's Chapel in Windsor in May 2018. In a statement, the couple said that the ceremony will be a "moment of fun and joy that will reflect the characters of the bride and groom." The Sunday Times reports that Prince George, 4, and Princess Charlotte, 2, will be pageboy and bridesmaid at the wedding, which Harry and Meghan have yet to officially confirm.